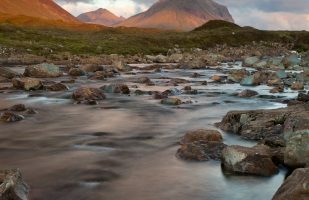 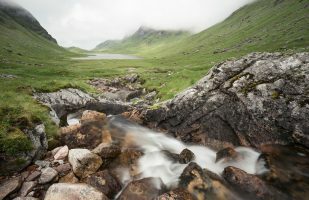 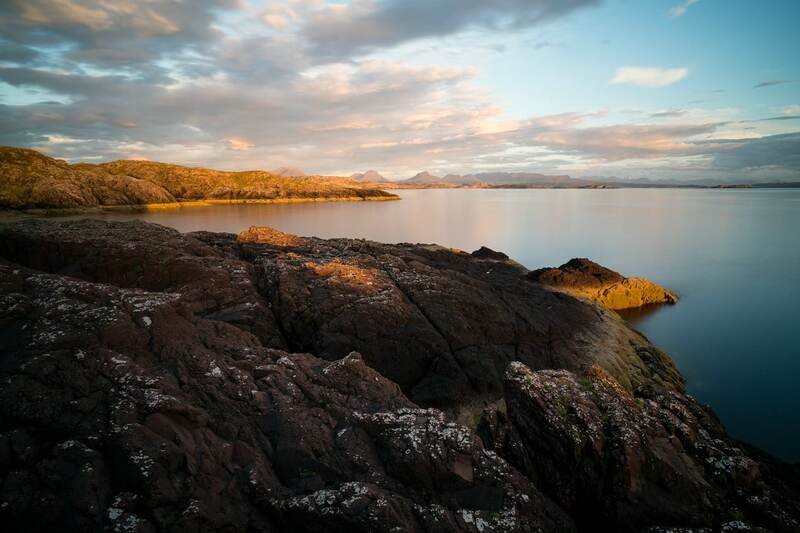 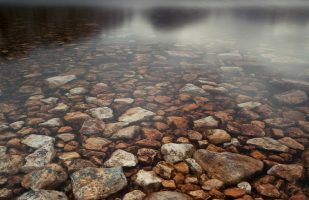 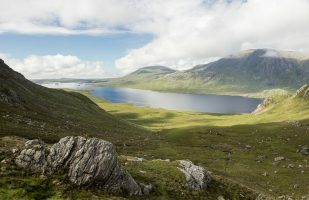 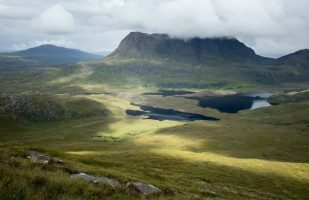 This gallery features images of landscapes in the western highlands and on the Isle of Skye taken during three Scotland trips which involved a lot of hiking, allowing me to explore more remote locations. 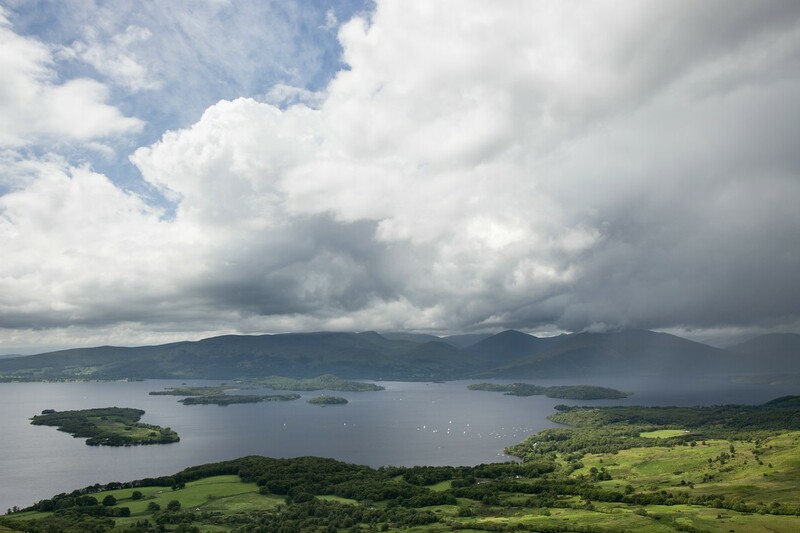 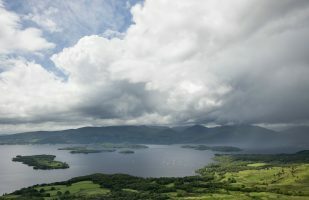 Loch Lomond is the largest lake in Scotland. 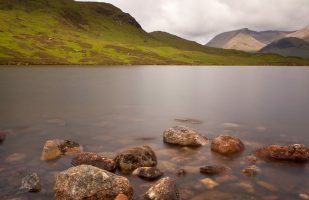 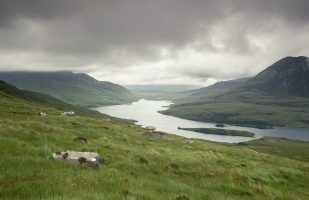 The popular hiking trail West Highland Way follows the lake’s shore. 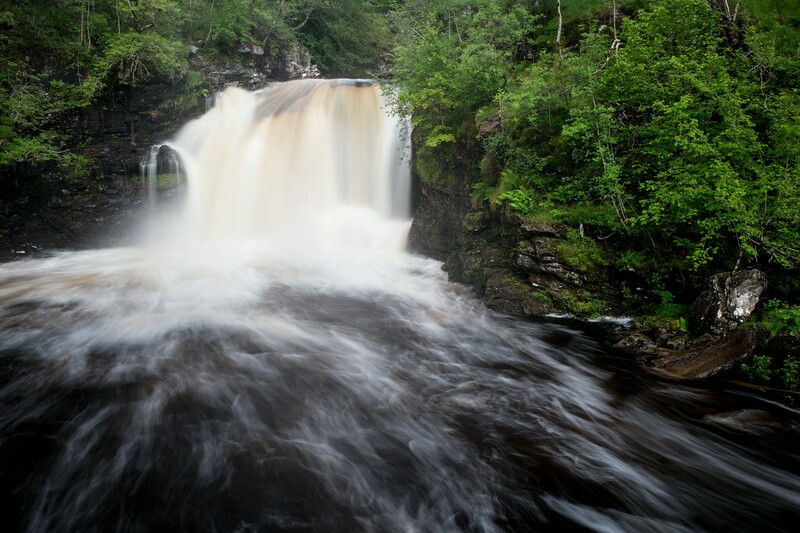 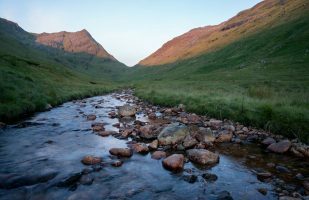 The river Falloch forms an interesting – but crowded waterfall on its way towards the lake. 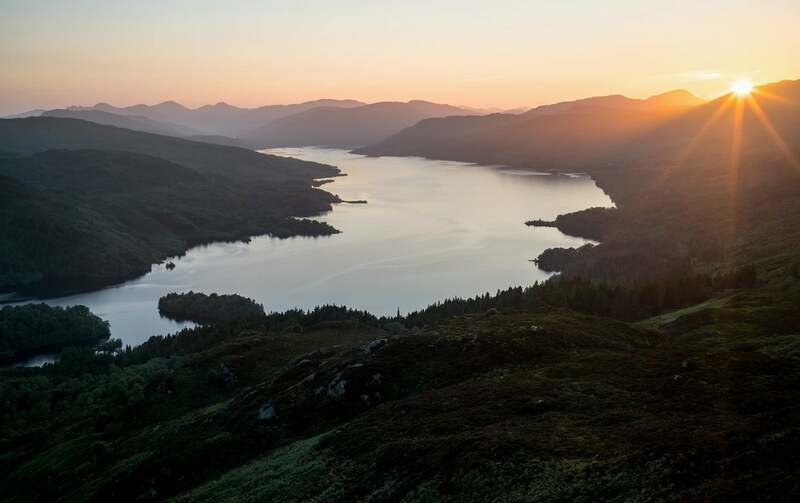 The Trossachs is a landscape of glens and lakes to the east of Loch Lomond. 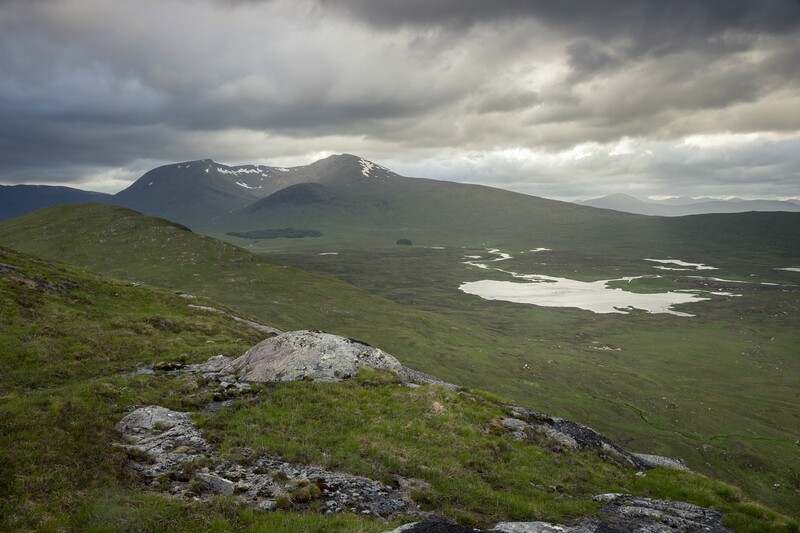 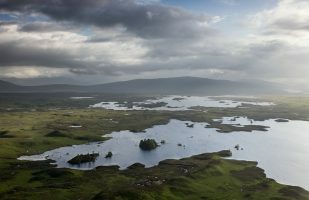 Rannoch Moor is an expanse of moorland that is crossed by the road to Glen Coe and Fort William. 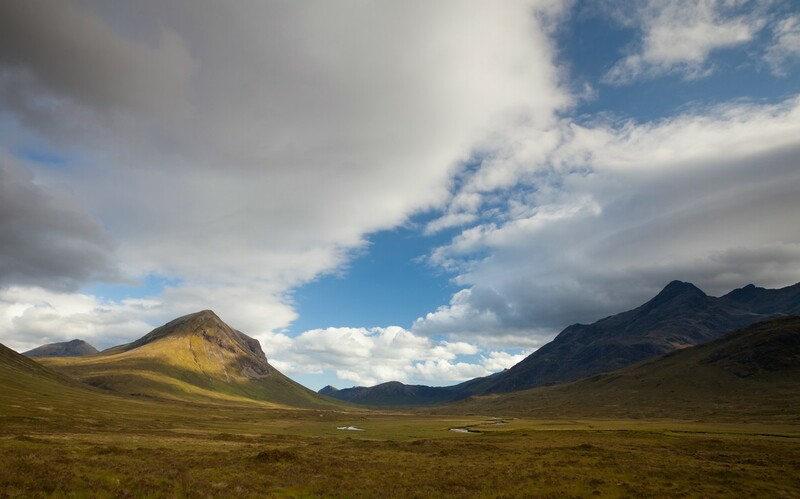 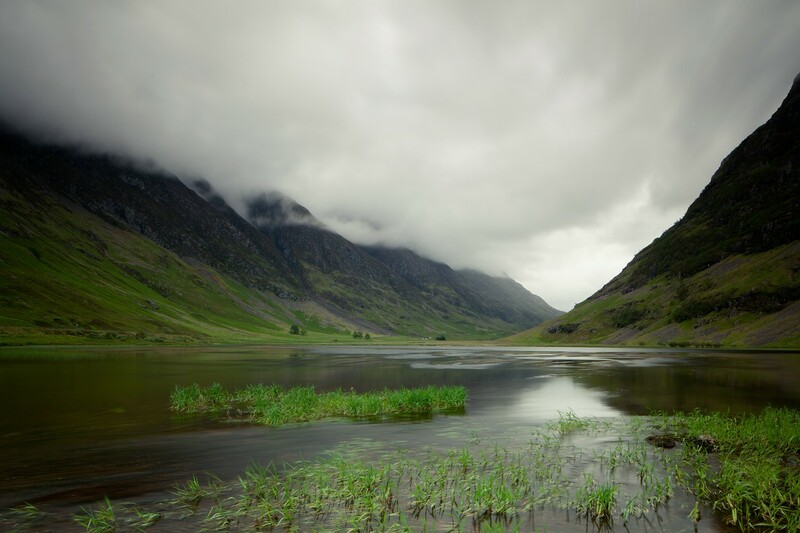 The valley of Glen Coe is surrounded by spectacular, steep mountains and is a popular tourist attraction due to its road access. 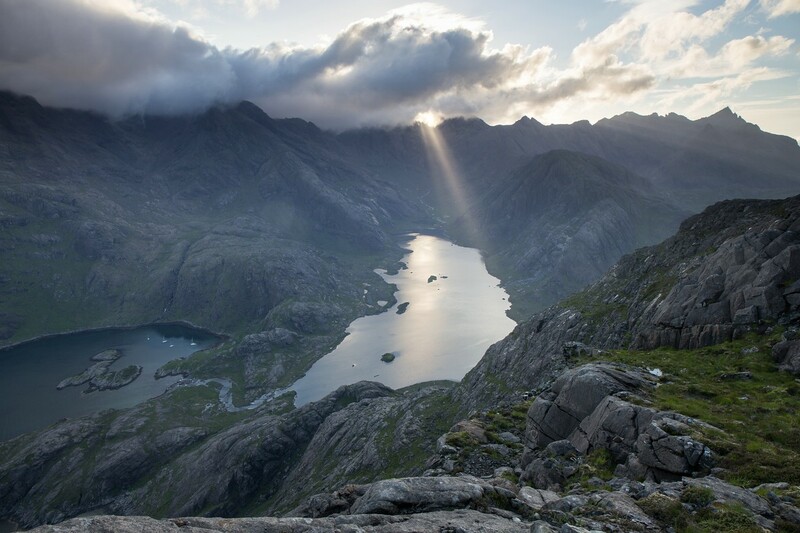 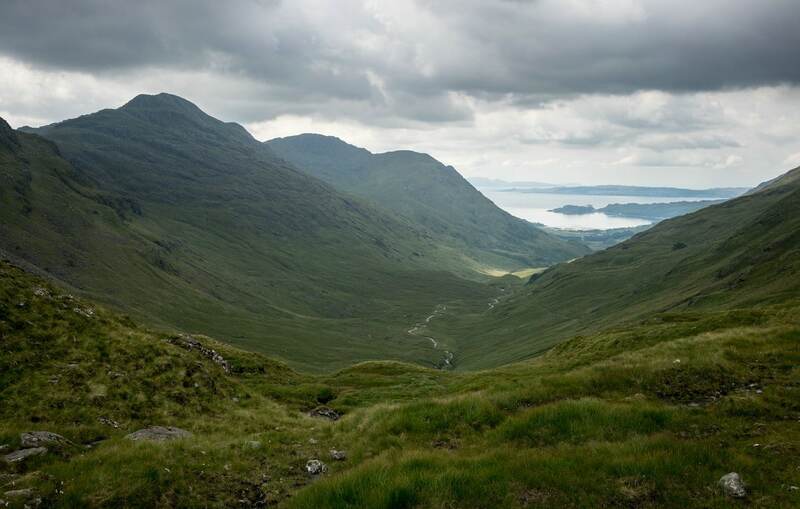 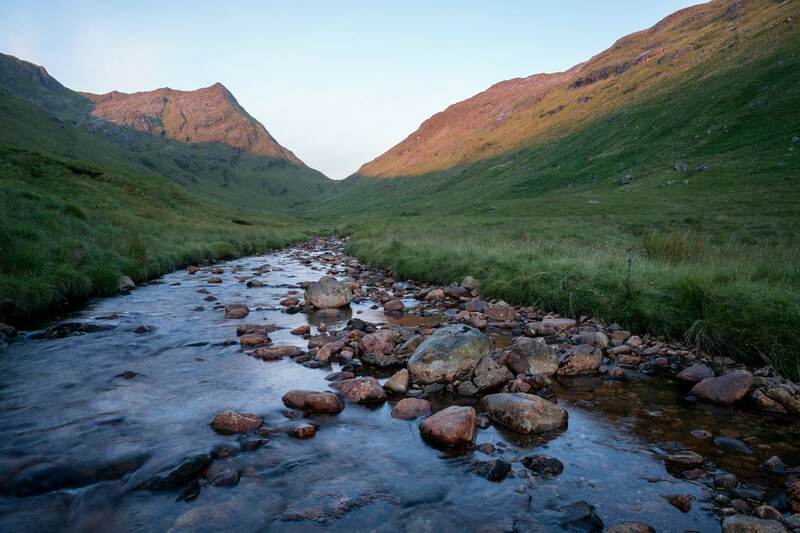 A section of the Cape Wrath Trail is leading from Glenfinnan to the Knoydart peninsula through the backcountry. 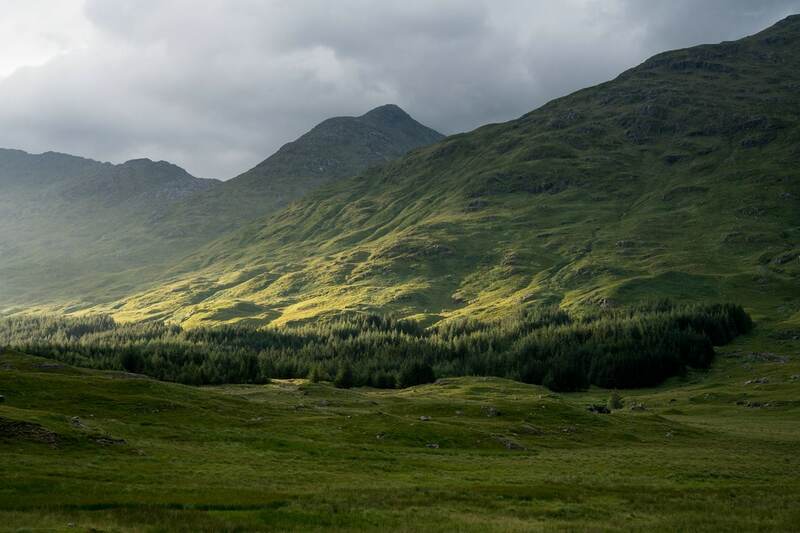 You’ll find tiny Bothies along the way where you can spend the night. 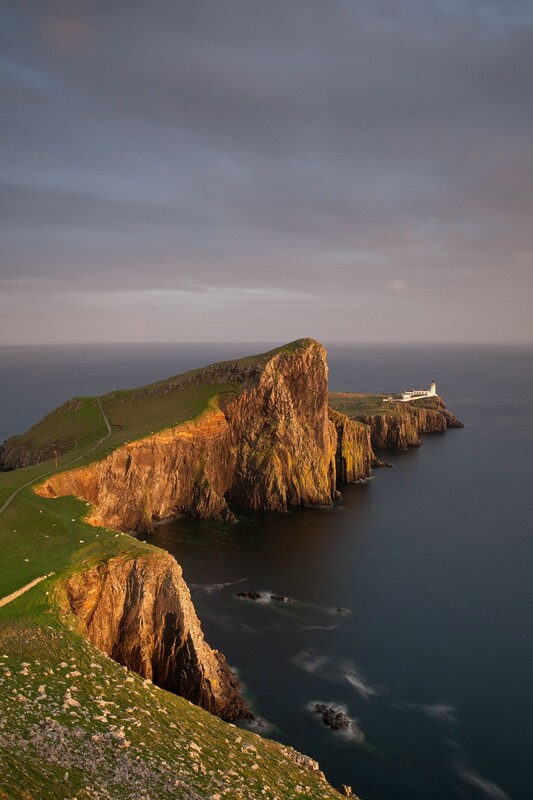 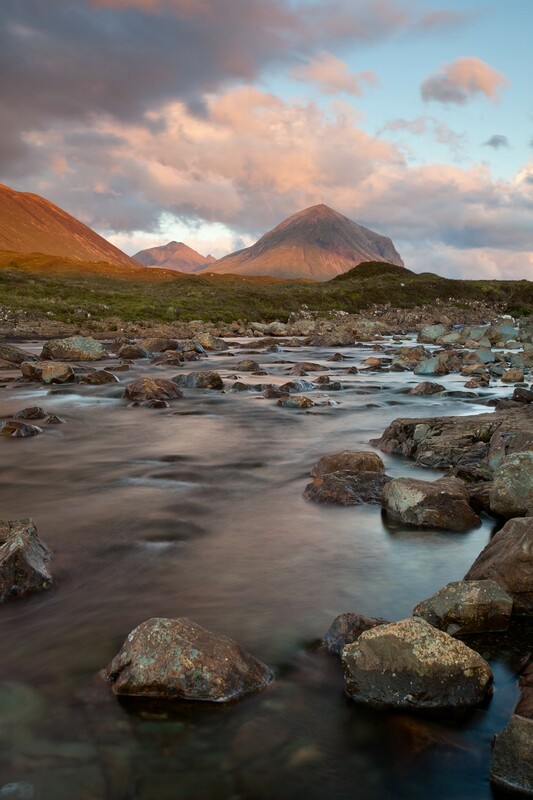 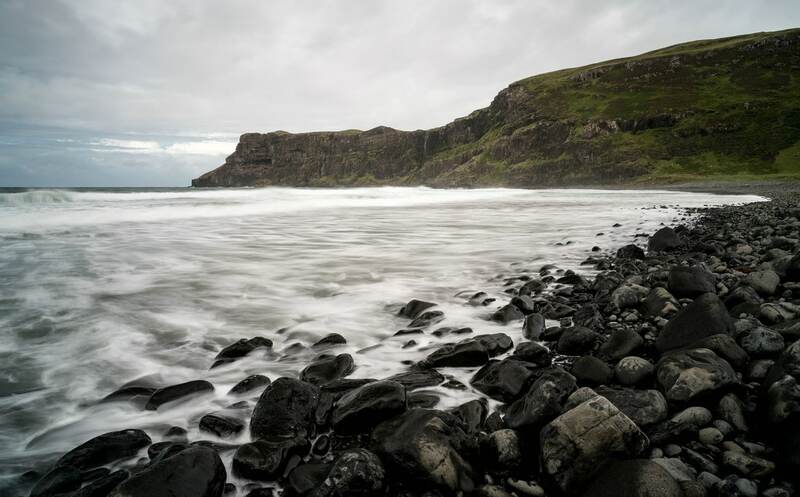 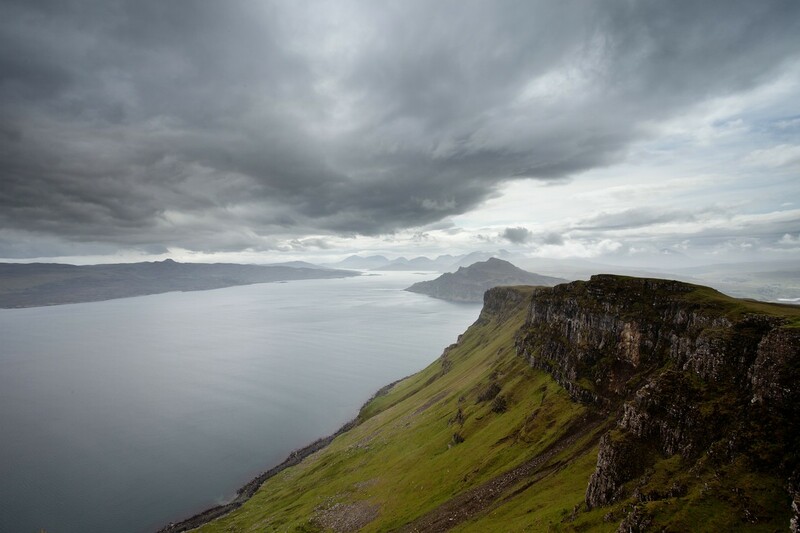 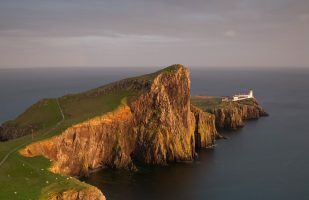 The Isle of Skye is the largest of the Inner Herbrides on the Scottish west coast and features dramatic mountain scenery as well as interesting coast lines. 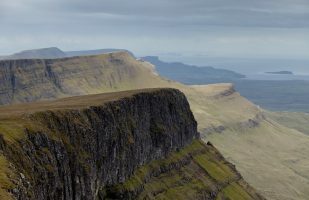 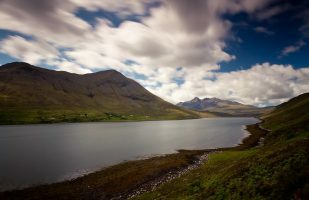 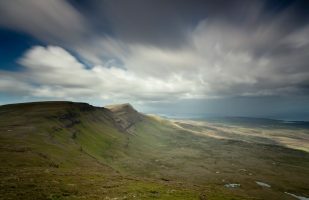 The Skye Trail crosses the island from Broadford in the south of Skye to the northernmost point of the Trotternish peninsula (or the other way round). 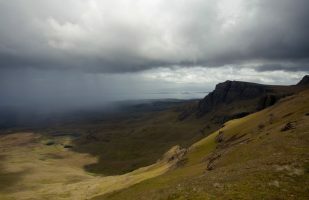 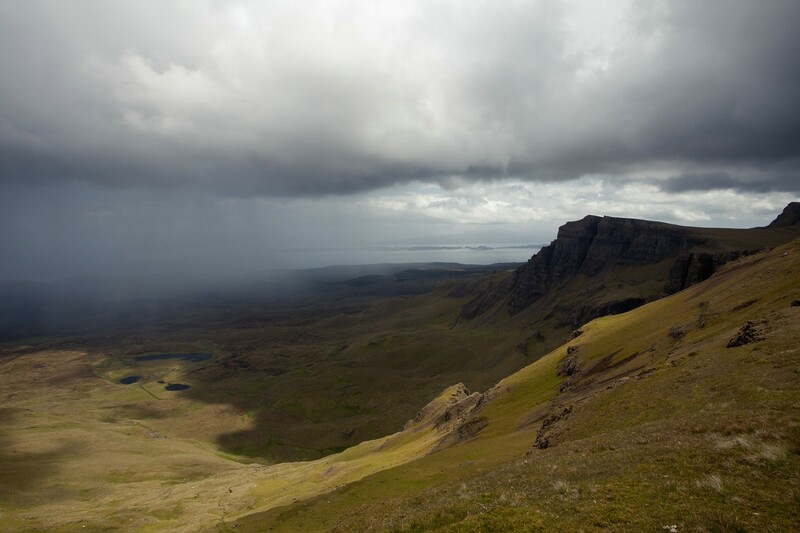 The part of the trail following the Trotternish ridge is especially stunning. 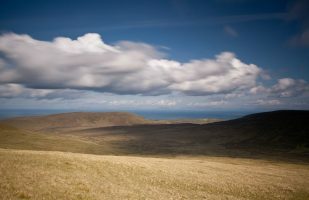 Hiking the whole length of the trail is usually done in one week. 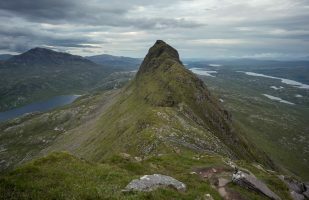 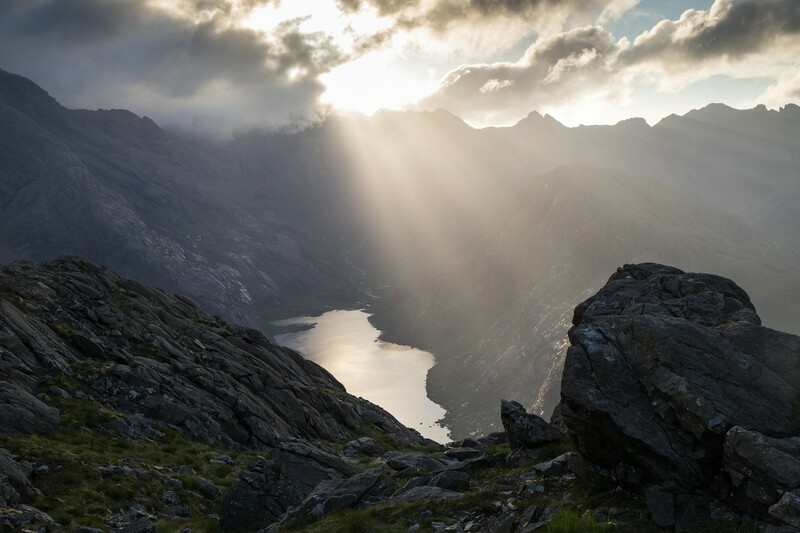 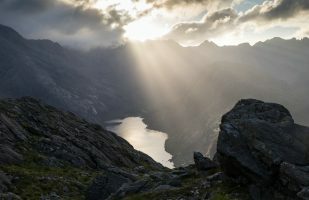 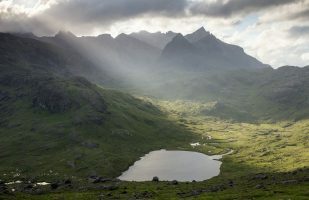 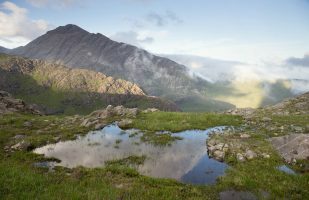 The hike to Sgurr na Stri from Sligachan offers great views down to Loch Curuisk and the Cuillin Range with its rugged peaks. 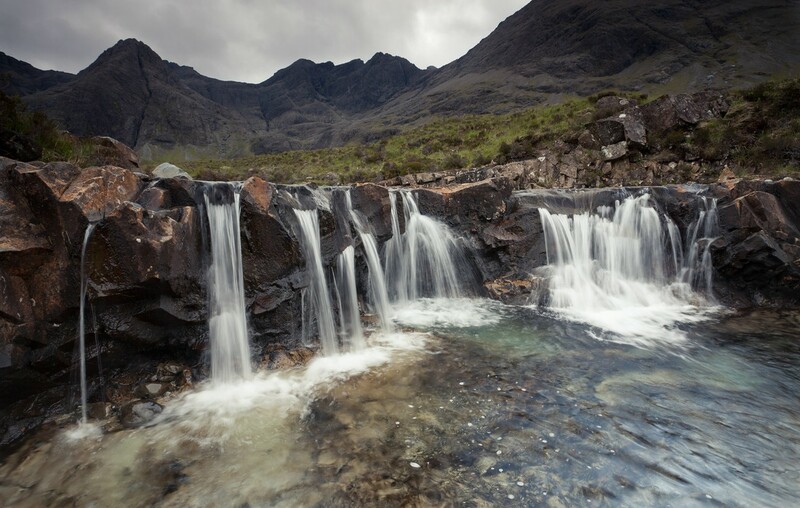 Other great locations on Skye are the fairy pools near Glenbrittle and Neist Point. There are a lot of other interesting places, some of which are quite touristy. In the following a few more images showing the Fairy Pools (near Glenbrittle), Talisker Bay and Neist Point. 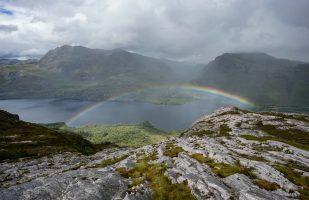 During a four-day hike I explored some of the wilderness area north of Loch Maree (also known as the Letterewe Wilderness). 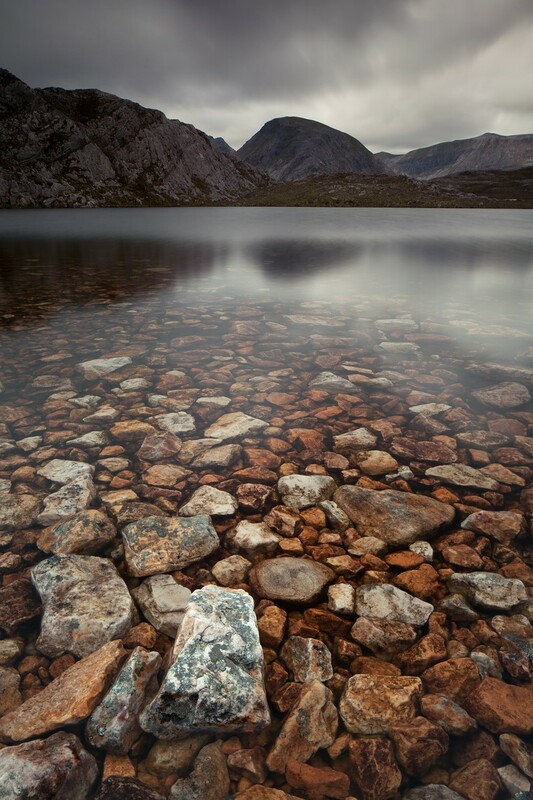 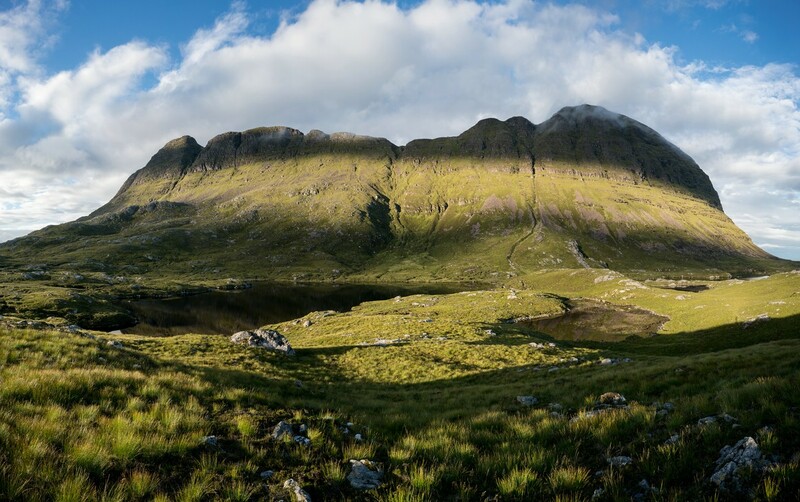 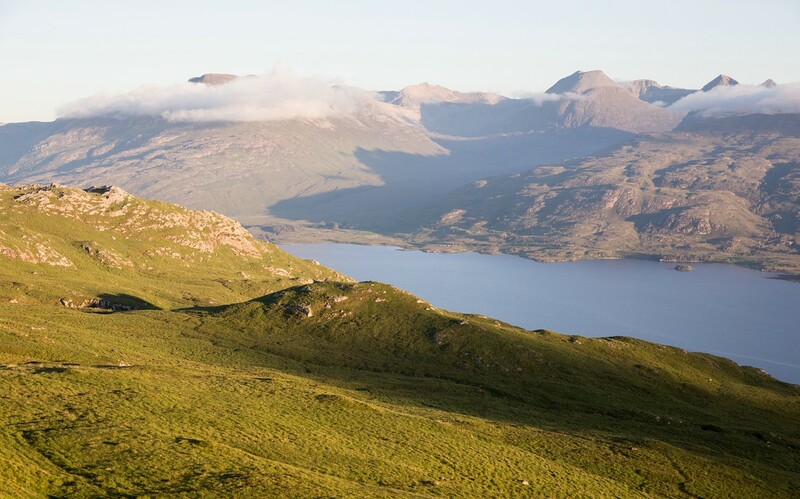 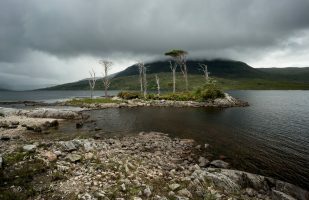 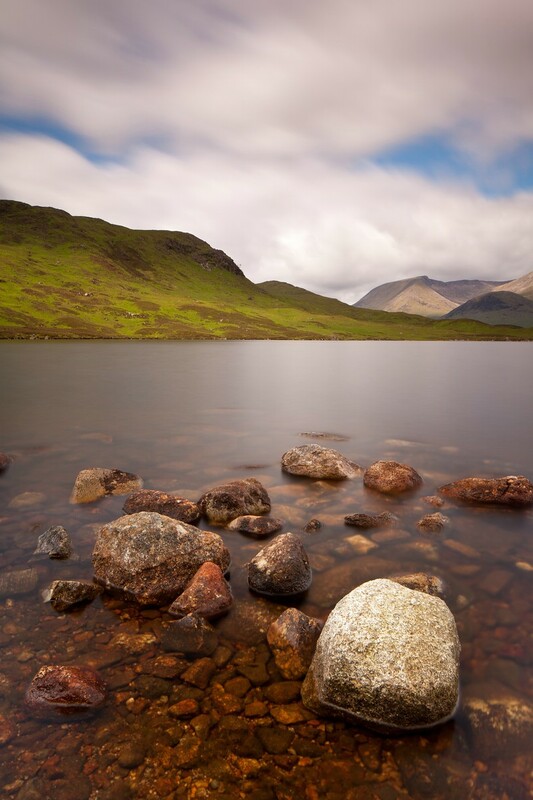 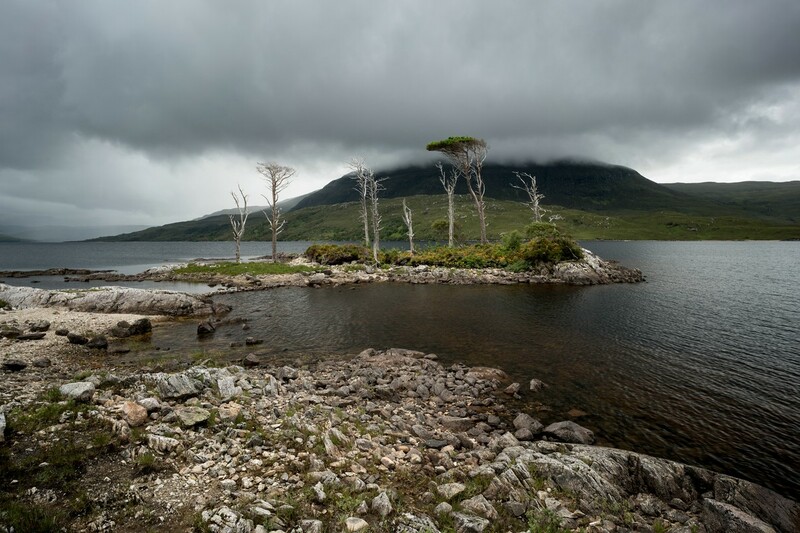 The Beinn Eighe mountain range is to the south and has interesting hiking routes as well. 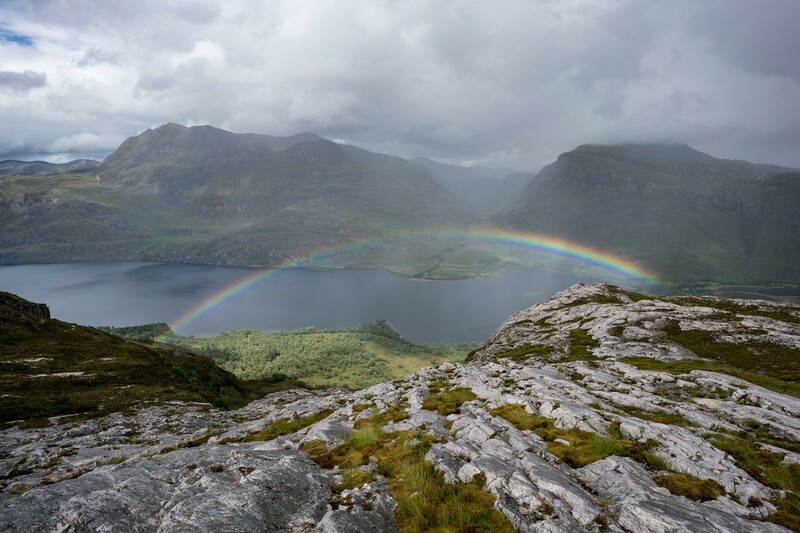 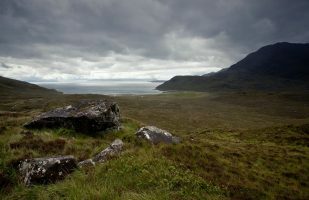 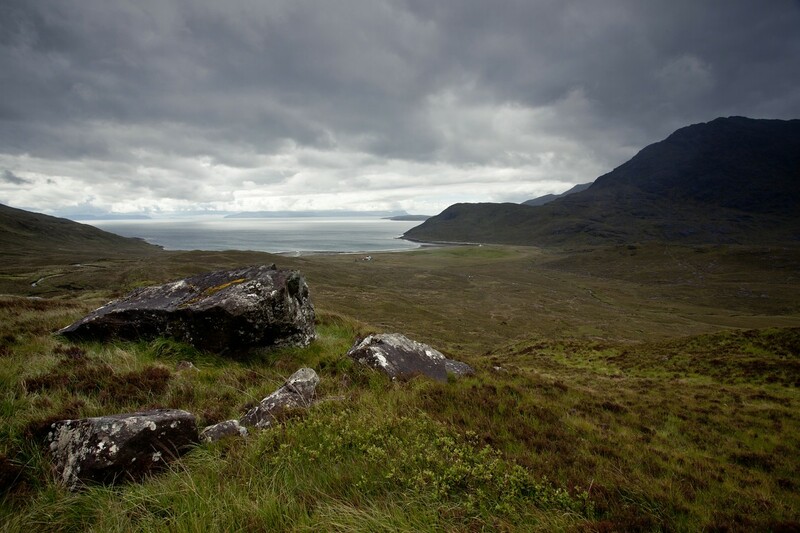 It also offers great views towards Loch Maree. 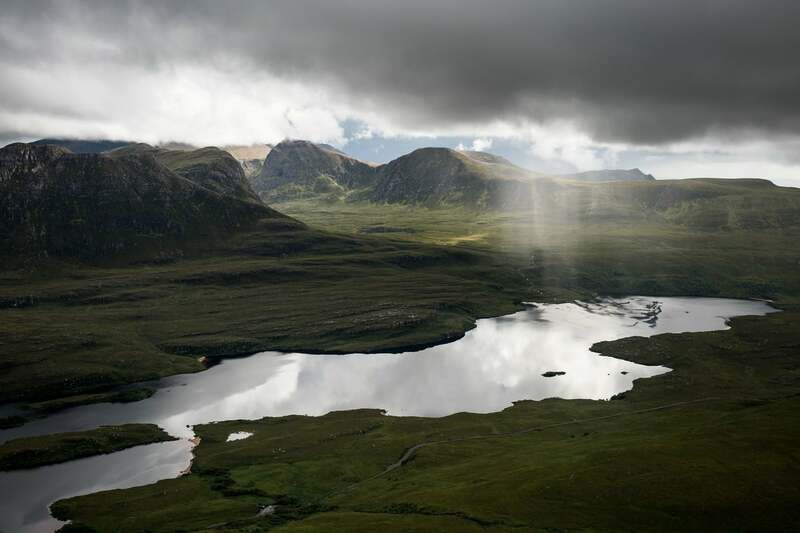 The Assynt region is located in the north-west of Scotland. You’ll encounter far less tourists than further south and the landscape is at its best.